This photograph shows the Atchison, Topeka, and Santa Fe Railway Company's California Limited at Cajon Pass, California. Train No 4 is eastbound and is rounding the curve. The train is powered by a steam locomotive. 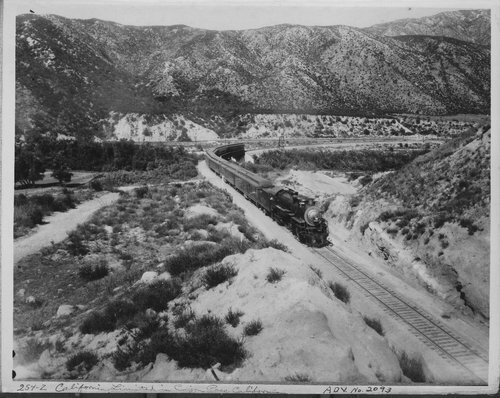 Cajon Pass was in the 1st District Los Angeles Division.